In 2010, FEMA updated the Flood Insurance Study (FIS) and Flood Insurance Rate Maps (FIRMs) for Bucks County. 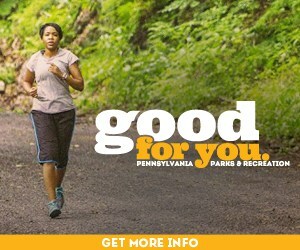 To improve accuracy, the redrawn maps used a new digital base map and incorporated the new Delaware River floodplain study. New surveyed river cross-sections, LiDAR information and updated hydrology were used to prepare the new floodplain mapping. The new FIS and FIRMs made changes to the current flood zones, which determine who must buy flood insurance. This mapping update has changed the flood risk status of hundreds of individual properties. The Township Engineer’s office reviewed the pending 2010 FIRMs to determine which properties would be affected in the Township. Plans were prepared showing the affected properties. The Township sent letters notifying hundreds of property owners of the potential change to their flood risk status. On March 16, 2015, the new Flood Insurance Study and Flood Insurance Rate Maps became effective (replacing the May 18, 1999 FIS and FIRMs). For more information on Flood Hazard Mapping, download FEMA’s Flood Hazard Mapping Fact Sheet. 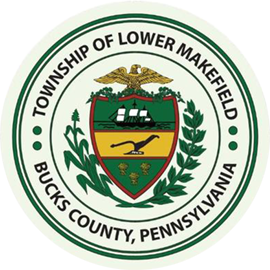 Lower Makefield Township adopted the new Floodplain Ordinance in advance of this date as an important step in the process of joining the FEMA Community Rating System (CRS). The CRS offers adiscount for individual Flood Insurance policies within the participating municipality. The Township worked with FEMA to complete the necessary steps required for acceptance into the CRS Program. The Township submitted the required documentation and was awarded a “Letter of Good Standing” from FEMA. The Township worked with FEMA to complete the Community Rating System Application, the last step of entering the Program. The Application was reviewed and a CRS Rating of 7 was confirmed by FEMA for Lower Makefield Township. On May 1, 2016, Lower Makefield Township was accepted into the CRS Program which will provide the opportunity for discounted Flood Insurance Premiums to the residents. At the May 18, 2016 Board of Supervisors Meeting, a FEMA representative presented a plaque to the Township commemorating the Township’s entrance into the CRS Program. The CRS Rating of 7 qualifies the owners of homes and businesses mapped within the A and AE Flood Zone for a 15% discount on their Flood Insurance Policy premium upon renewal or the initiation of their policy.